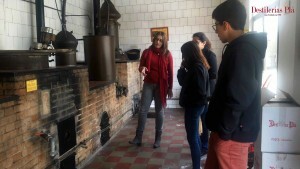 The guide explains how the still during one visit to the distillery. In Distilleries Plà we keep small treasures that are alive in the sector of industry and Valencian Comunitat own history and we want to share with all who want to visit. For this reason we start visits to our facilities in the days when the company can accommodate people interested how are you deserve. The production, craft and manual process. The visit costs 6 euro and groups up to 15 people per day are allowed. The reservation can right here.